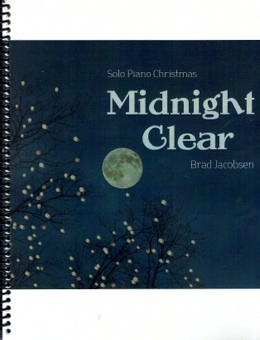 Midnight Clear is the companion songbook to Brad Jacobsen’s 2015 solo piano album by the same name. All ten songs from the recording are included, transcribed note-for-note by John Zechiel and proofed by Brad Jacobsen and myself. The book is spiral-bound and printed on a medium-weight bright white paper stock with clear, clean, well-spaced notation that is easy to read. The front cover is a full-color reproduction of the album artwork. 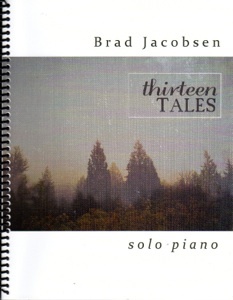 All of the pieces are well-known Christmas standards arranged by Jacobsen. A couple of pieces have rhythms that are a little bit tricky, but most of these songs should be playable by intermediate-level and above pianists with some practice while more advanced pianists will enjoy being able to just sit down and play most of these songs. The arrangements are very accessible with some interesting personal touches and interpretations by Jacobsen. My favorites to play are “God Rest Ye Merry, Gentlemen,” “O Come, O Come, Emmanuel,” “O Little Town of Bethlehem,” and “Good King Wenceslas.” A couple of pieces have some big jumps, but there are no reaches of more than an octave. 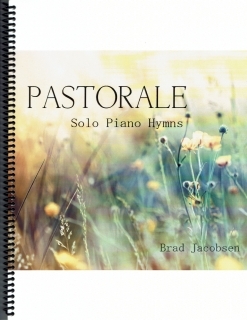 Expression is well-marked, pedaling suggestions are given, and metronome settings are included, making this an excellent collection for piano students as well as people looking for a new collection of solo piano carols. 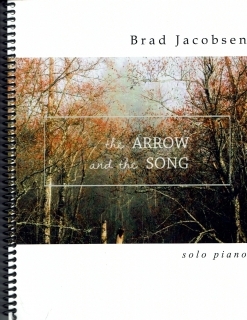 The book is available from www.bradjacobsenmusic.com and I whole-heartedly recommend it.